What Makes His Oaks Different? Why Should a Person Consider His Oaks? Everything that happens at His Oaks is focused on helping men discover their identity in Jesus Christ. At His Oaks we get to watch the amazing transformation that takes place when people surrender their heart to the Lord. Most of the men who enter this program come into it beaten down by sin and addiction and life circumstances. We exist for the broken, the worn out, the lost and those who feel hopeless. We provide a residential Christ-centered environment giving men an opportunity to break free from the strongholds that have sabotaged their life. At His Oaks we get the privilege of seeing men who are dead in sin, wake up to a relationship with their living Savior and become new creatures who are filled with His joy and hope. 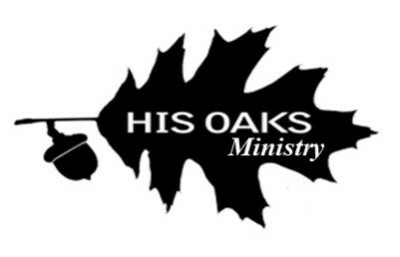 His Oaks is a Christ-centered, Bible-Centered, Discipleship-centered ministry designed to lead you into freedom from life-dominating behaviors. We believe that lasting change can only come by the true knowledge of God through the Word of Christ. Our approach is based on the fundamental belief that the solutions to problems caused by drugs and alcohol can be found through faith in Jesus Christ. The Bible therefore is our manual for Godly living and the authority by which we will live and grow. Residents participate in Bible studies and training sessions throughout the week, while also participating in work duties around the house, in the community and eventually in their own individual jobs. By living, studying, and working together in an atmosphere of Christian love and understanding, each man is given the opportunity to walk in victory through our Lord, Jesus Christ. That Leads To Life Change. Along with spiritual guidance that comes from His Oaks staff, residents will also interact weekly with a certified counselor who will help address co-occurring disorders, if present. Through individual and group times we want to establish a long-term plan, for long-term recovery.